We love a bit of retro gaming here at Gizmodo, but there's one common flaw: playing old console games without the original controller just doesn't feel quite right. Retrode 2 can help with that. 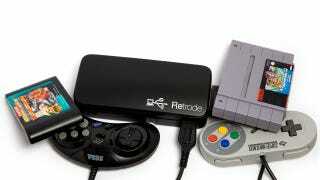 The original version of Retrode allowed users to plug Genesis and SNES cartridges directly into a USB device and then play the ROMs on their computer. The only downside was that you had to use a PC keyboard or games pad to play them. Now, Retrode 2 supports old-skool Genesis and SNES controllers, too. Either dig out your old controllers or buy them dirt-cheap online, and you can play all your old games through your Mac or PC. All you need to do is download an emulator, and you can be reliving the golden days of console gaming with that old faithful controller in your hand. The only tough call is, what to play first?